Speakers stands set 2 pc 50kg, FRE300KIT Speakers stands set Proel FRE300KIT aluminium, up to 50 kg each. Stands' weight: 5.5 kg. 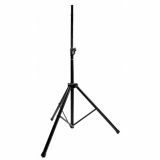 Speaker Stand FRE300BK Speaker stand Proel FRE300BK with height 1470-2180 mm, carrying capacity up to 70 kg and weighing 2 kg. 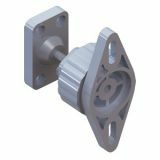 Speaker Mount Stand R3, 2 units Speaker Stand model R3 suitable for wall and ceiling with 2 units in the box, innovative design and flexible connector for optimal adjustment. List Price 17.50лв. VAT Incl. 16.62лв. VAT Incl. Stand, telescopic, professional lighting BS 250 BS250 professional lighting stand, steel, telescopic, galvanized, up to 2.5 with load capacity up to 7 kg. Speaker stand PROF STAND YJ-001 Professional metal speaker stand YJ-001 1400 mm with regulation. List Price 32.90лв. VAT Incl. 31.25лв. VAT Incl. 29.61лв. VAT Incl. Speaker stand, height 125-220cm, 80kg, FRE300HED Speaker Stand FRE300HED with height 125-220 cm. List Price 55.00лв. VAT Incl. 52.25лв. VAT Incl. Speaker Stand LK-371 Wall mount speaker stand LK-371, with arm length 360 mm and weight 1 kg. List Price 20.00лв. VAT Incl. 19.00лв. VAT Incl. 18.00лв. VAT Incl. 17.00лв. VAT Incl. Speaker Stand LK-372 Wall mount speaker stand LK-372, with arm length 360 mm and weight 1 kg. Speaker Stand LK-373 Wall mount speaker stand LK-373, with arm length 360 mm and weight 1 kg. List Price 22.70лв. VAT Incl. 21.57лв. VAT Incl. 20.43лв. VAT Incl. 19.30лв. VAT Incl. Speaker Stand LK-360-2 Speaker stand LK-360-2, with height 850-1300 mm and weight 1.5 kg. Vikiwat offers to its customers a wide variety of stands for professional and home speakers. In our store you will find on-stage stands for speakers and lighting, as well wall mounting stands with movable arms and rotatable up to 360°. Vikiwat Ltd. is a direct importer and distributor of stands, brackets and accessories for on-stage professional sound systems, static stands and with adjustable height, tripods for projectors and podium lighting at attractive prices. We wish you have a plesant shopping!